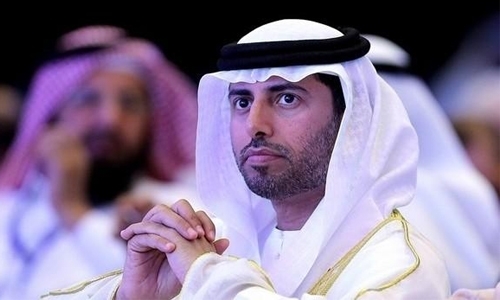 The energy minister of the United Arab Emirates said yesterday supply and demand in the oil market should balance out in the first quarter of 2019, following weeks of output cuts. “My expectation is that we will see the balance during the first quarter unless something happens,” Suheil al-Mazrouei told the three-day World Government Summit in Dubai. “We are removing enough oil to correct the market,” Mazrouei said. OPEC countries and other major oil producers in January began implementing a deal to cut output by 1.2 million barrels per day to shore up sagging prices. Based on provisional figures of production levels in January, most oil producing nations were complying to the cuts, Mazrouei said. The oil market, however, remains highly volatile and prices hover just above $60 a barrel after recovering from as low as $50 a barrel. That figure remains far below the $85 a barrel oil hit in early October before beginning to slide. Mazrouei said producers were “doing our best” to stabilise the market. Khalid al-Falih, energy minister of the world’s top supplier Saudi Arabia, said in mid-January he expected the oil market to rebalance within weeks. Oil prices crashed in mid2014 to below $30 a barrel, down from over $100 a barrel, due to a glut in supplies and weakening global demand.